The Mazda 3 is a compact sedan or hatchback that has earned a reputation for above-average handling and driving fun. The high-performance version, called the Mazdaspeed3, hasn't been sold since the 2013 model year. Rival models to the Mazda3 include the Honda Civic, Toyota Corolla, Volkswagen Golf, Volkswagen Jetta, Kia Forte, and Hyundai Elantra. A completely redesigned, fourth-generation Mazda 3 was introduced at the 2018 LA Auto Show, and goes on sale early in 2019. This time, the 2019 Mazda 3 hatchback and 2019 Mazda 3 sedan appear almost as two different vehicles. That's actually the intent, with Mazda sculpting the two models under separate design themes—the sedan aiming for formal but sporty, and the hatchback pushed out with a free-spirited look. The sedan manages to elegantly crib the proportions of a larger sedan while the hatchback, with its thick rear pillar and crease-less sheet metal, can tend to look different wherever and whenever. It all converges inside, where these two models have the same warm, well-appointed cabin and rethought interface. Mazda's reevaluated the positioning of the driver (and front passenger) and subbed in more supportive front seats, plenty of soft-touch trim, and a lot more noise insulation. It's also introduced a new version of its Command Controller—a dial that twists, clicks, and tilts—at the center console. In a rejection of the current norm, Mazda's saying no to touchscreens. A 2.5-liter inline-4 and a 6-speed automatic transmission are at the core of the 2019 Mazda 3 lineup, but there's one widely available game-changer in this year's lineup: an all-wheel drive system that's calibrated for slippery roads. Otherwise Mazda has mostly purged manual transmissions from the lineup; a 6-speed manual is only offered on the top Premium hatchback, and not on the sedan at all.The body structure, chassis, and suspension are new, and Mazda's adopted a torsion-beam rear suspension in place of the multi-link on in the previous generation. Top Premium models are the way to get full leather and the new head-up display, which is said to help keep the focus on the road, with a focal point 7.5 feet ahead of the driver. Middle Preferred models have heated seats and Bose premium audio. 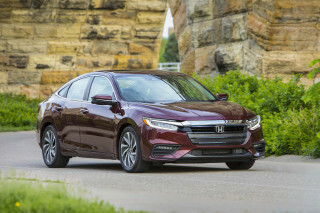 A base model of the sedan offers the lowest price of the lineup—$22,920 for sedans—but the Select model costs $1,600 mode and offers the best value, with Apple CarPlay and Android Auto compatibility, automatic climate control, keyless entry, and 18-inch wheels. The first-generation Mazda 3 launched in 2004 and lasted through 2009. Its delightfully unconventional lines and tight handling put it head and shoulders above the Mazda Protege sedan it replaced (and prior to that, the 323 and GLC), and it was an instant sales success. 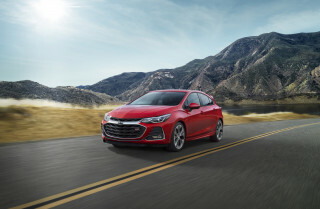 Base versions were fitted with a 150-horsepower, 2.0-liter inline-4 and a 5-speed manual or 4-speed automatic, while “s” models upgraded to a 160-hp, 2.3-liter inline-4 with 5-speed manual or automatic transmissions. For 2006, a Grand Touring model was added to the line as well. The next Mazda 3 bowed in 2010, and would get significant updates for the 2012 model year. This second-generation Mazda 3 sported more exaggerated styling than its trim, taut predecessor. For 2012, the "smiling" expression of its front grille and air dam were given a new look with a softened grin and more flowing air dam, plus more body-color bodywork and a more refined interior. This version offered several advanced features not found on most of its competitors, including rain-sensing wipers, bi-xenon adaptive lighting, and three-position memory for the available power seats. Two models were offered in 2010, each with a different engine. The base Mazda 3 "i" model that year sported a 148-hp, 2.0-liter inline-4, paired with either a 5-speed manual or a 5-speed automatic. The sportier Mazda 3 "s" had a 167-hp, 2.5-liter inline-4 with a 6-speed manual as standard, with an available automatic. Gas mileage ranked near the bottom of the compact class, with ratings as low as 22 mpg city, 29 highway for the "s."
For hard-core enthusiasts, the Mazdaspeed3 was offered, to face off against all-wheel-drivers like the Subaru WRX and Mitsubishi Evo models as more similar front-drive turbo models like the Ford Focus ST. It was able to reach 60 mph in less than six seconds. Power came from a direct-injected, turbocharged, and intercooled 2.3-liter inline-4 that pumped out 263 hp and came only with a 6-speed manual. The 2012 model year brought upgraded, the most significant of which were under the hood and enabled new fuel economy ratings of up to 40 mpg. A new Sky-G 2.0-liter inline-4, combined with all-new 6-speed manual and 6-speed automatic transmissions, brought performance approaching the 2.5-liter "s" models, with fuel economy about 20 percent better than that of the older 2.0-liter. Both of the previous engines remained available for 2012, with the 2.0-liter on the base 3 i SV and Sport and the 2.5-liter on "s" versions. For 2012, blind-spot monitors were added to the Tech Package offered on the Grand Touring. The Mazda 3 had the usual raft of options: a Bose premium stereo, Bluetooth connectivity, an iPod interface, satellite radio, and keyless entry, for instance. The i Sport model was treated to the new 2.0-liter SkyActiv engine for 2013, bringing the efficient powertrain to a less-expensive model. The 2013 model year also brought standard air conditioning to the base SV model, while the i Sport received the multi-information display and a USB port. 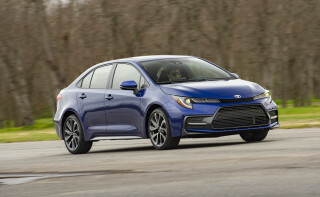 The more expensive trim levels also saw expanded equipment. 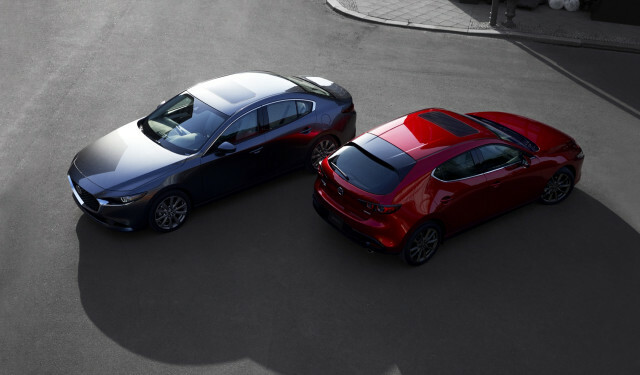 A new Mazda 3 arrived for 2014, bringing with it sleek new styling, a classy interior, even better driving dynamics, and greater fuel efficiency. We nominated it for our Best Car To Buy award. Our only problem with the latest 3 was that the new profile cuts into rear-seat head room a little too much for the sake of style, with even the hatchback now having a head room-robbing look instead of the old upright appearance. The hatchback is also slightly less commodious as a result. Power comes from a choice of inline-4 engines, with base Sport and Touring models using the 2.0-liter SkyActiv engine and the Grand Touring versions getting a 2.5-liter version of that engine. A manual was initially only available with the 2.0-liter, while both engines can be had with Mazda's slick-shifting 6-speed automatic. Changes for 2015 were few, although Mazda offered the larger engine with a manual transmission and it was easily the enthusiast's choice, the 2.0-liter has plenty of grunt to swiftly move the Mazda 3. The current 3's interior also brings a slightly premium feel compared to many of its competitors. The materials are a step up from what's been offered in the past, the styling more cohesive yet usable, and build quality is up there as well. The 3 offers several advanced features, including a form of head-up display. For 2015, Mazda improved the equipment list, and it's done the same again for 2016. The Mazda 3 now carries a lower price in base form, and offers more features as standard. The 2016 lineup spanned a base SV, Sport, Touring, and Grand Touring models. 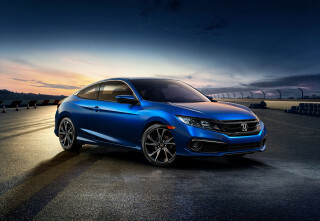 All models come with a rearview camera system, and two new packages allow you to add popular equipment to the Sport and Touring models, respectively. 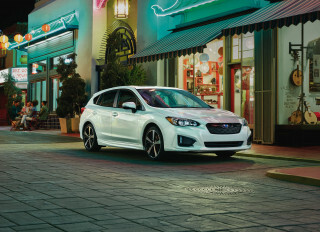 Luxury items such as perforated leather upholstery, adaptive front lighting, and moonroof are reserved for the top Grand Touring. The revisions for 2017 included a new front face (and rear bumper for hatchback models), a slightly updated interior and new safety equipment for some models. And for 2018, Mazda made standard on all models of the Mazda 3 a low-speed automatic emergency braking system. Really nice car. I had a Scion FRS so of course I think the Mazda miss some power. BUT! Other then that, it's the best looking car in that price range. I have a GS 2018 fully equiped. Nice fuel economy! Really nice car. I had a Scion FRS so of course I think the Mazda miss some power. BUT! Other then that, it's the best looking car in that price range.